INVESTORS & DEVELOPERS TAKE NOTICE! 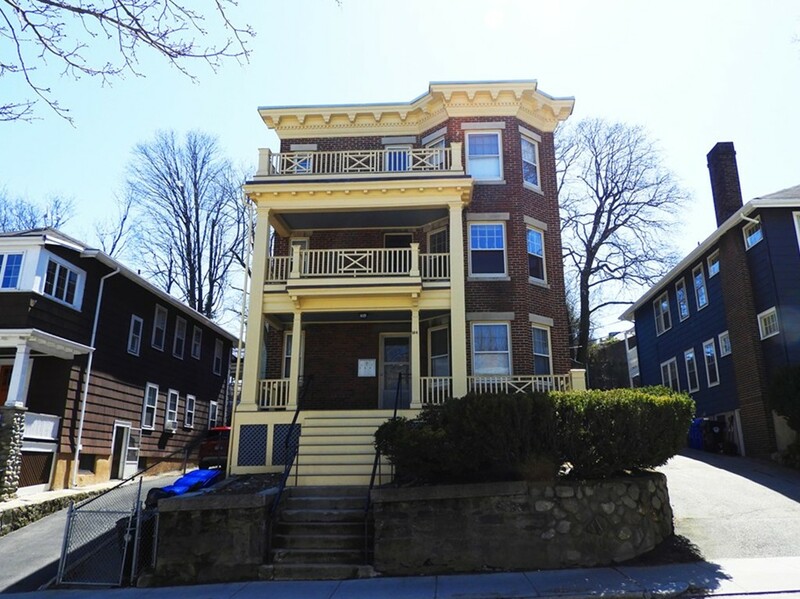 Beautiful triple-decker in sought after Pill Hill Brookline, mins to Brookline Village. This is your opportunity to get into a great cash flowing asset or condo conversion in a A+ location. The building has 3 units each with an identical floor plan consisting of 2 beds, 1 bath, living, and dining room with built-in china cabinets, eat-in kitchen w/ pantry as well as hardwood floors throughout. The full unfinished basement has a full-sized walkout, separate utilities & laundry hookup for each unit. Unit 2 is vacant and easy to show. Tenants at will in units 1 and 3 renting below market. Great bones! The exterior of the building has been lovingly maintained: brickwork repointed in 2010, front porches replaced in 2016. Driveway parking for 4 cars. This property is being sold as is. Great proximity to Brookline Village, Longwood Medical, Rt. 9, Jamaica Pond & downtown Boston. Donât miss this opportunity!